Unique choreography with fun dance moves, set to upbeat music. Easy-to-follow video teaches the dances, and kids absolutely love it! 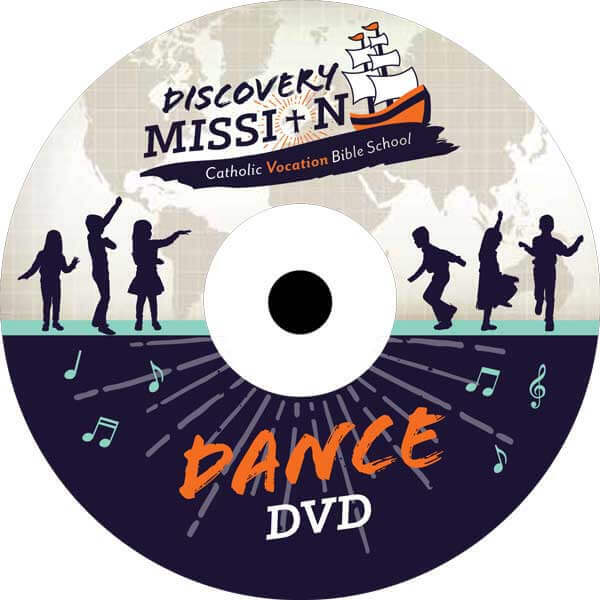 Parishes either give DVDs to participants or sell them with a modest markup. 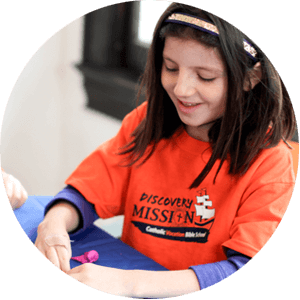 High-quality Discovery Mission tees for kids and leaders. And unlike any other VBS program, you can choose your shirt color! $12 per shirt, $10 if you order 75 or more (kids and adult sizes combine for discount). 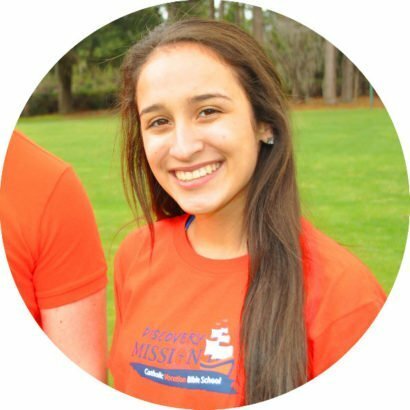 High-quality Discovery Mission tees for kids and leaders. And unlike other VBS programs, you can choose your shirt color! $12 per shirt, $10 if you order 75 or more (kids and adult sizes combine for discount). 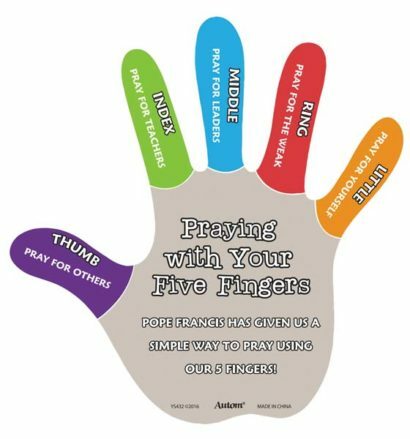 Keep praying Pope Francis’s “five-finger prayer” from home with these prayer magnets.